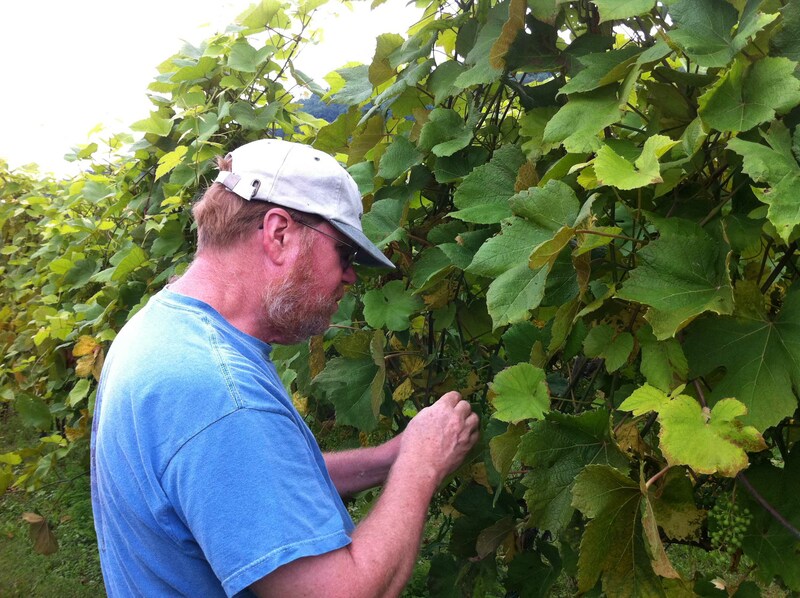 Here’s some pictures from the weekend class at DuCard Vineyard, thanks to classmate Margaret Frazier, who I have no doubt will one day soon be producing very high quality Virginia wines. This is the hedger used to trim the tops of the vines in the lyre trellis. 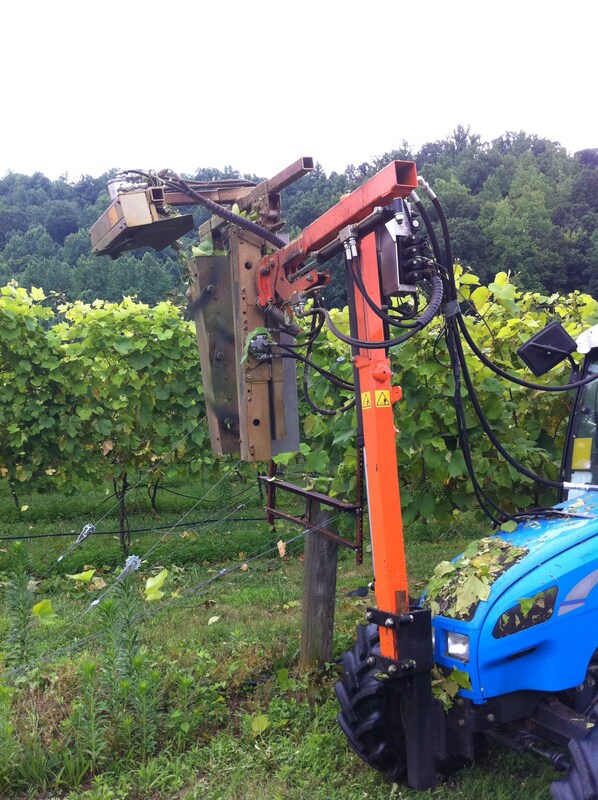 It's a bit hard to tell, but the arm of the hedger has whirling blades on both sides, which cuts one arm of the vines. After gaining some confidence, I was able to thin the canopy pretty quickly. 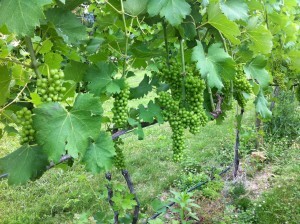 Viognier vines at DuCard after the canopy was thinned. A thing of beauty. I was impressed with the hedger. 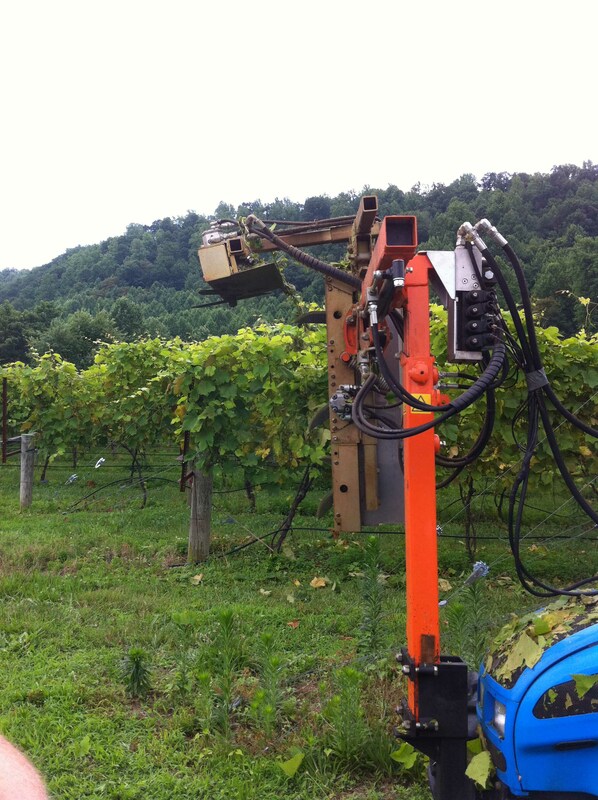 There do not seem to be a lot of tasks that can be succesfully automated or done by machine in the vineyard. But this is one that can, and the savings in man hours is huge. I can see where a large vineyard could justify the investment in one of these machines. Ken, I couldn’t agree more. 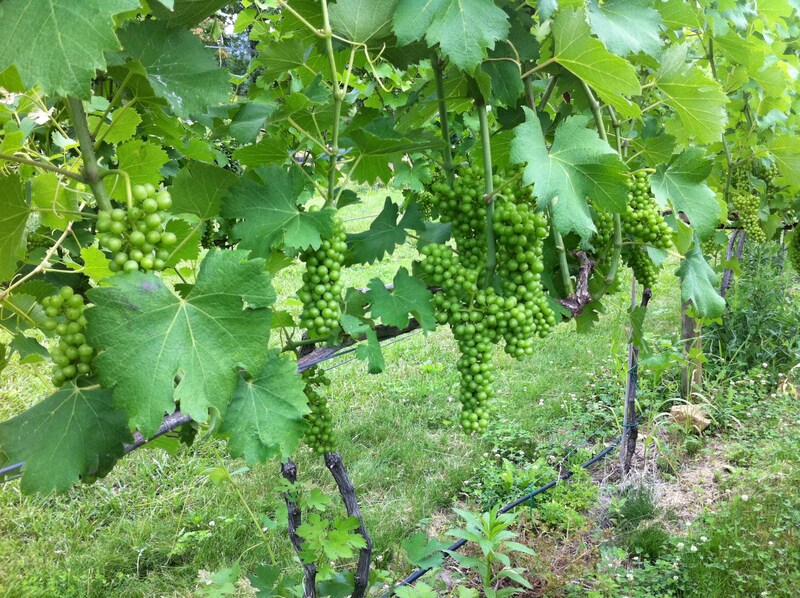 But fortunately, I won’t have a large enough vineyard to justify spending that much money!! Which, believe me, I would. Hit the button too fast, but the above, anonymous reply to Kenny, is from me. Thanks for posting the comment, Kenny. We are enjoying your blog so much, Chris and Bob. Please keep writing! Thanks, Trish, I’ll keep writing until the keyboard wears out.